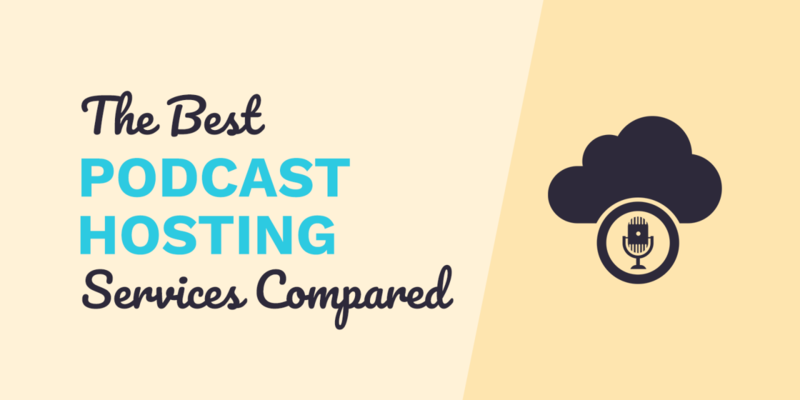 Here is the updated (Nov 2018) review of most podcast hosting services available. We try to be impartial and look at all services from a podcaster point of view (we have been podcasting since 2011). For ease of comparing we review first 1 or 2 available plans (some podcast hosts have 6 or more! crazy I know). This article is not sponsored by any of the hosts, does not include any affiliate links and is made with 100% honest review in mind. One thing to look for when comparing prices is the fact that they often advertise the annual price as a monthly bill. So if you don’t want to pay for a whole year in advance do look at the small print. To compare them one for one, like for like I have included pay per month prices only. It’s essentially a service provider with plenty of storage available, that is able to take the pressure of multiple people downloading your audio (or video) media files all at the same time. Why should you pay for podcast hosting? Some companies have great free plans (that work fantastically for starting podcasters) and then enable you to add more features (and pay) as you grow. You will find that having a podcast host has many benefits (like automatic feed distribution to major players like iTunes, Spotify, Google etc). So without further ado, here is likely the most comprehensive list you will find, all in one place with main features explained. Special thanks to Dominic Bradley – our audio specialist – for doing detailed market research that made this article possible! For almost every single podcast Anchor hosts, the cost to us is less than 10 cents per month. That means that hosting your podcast for an entire year costs Anchor around one dollar. If Anchor were to charge you $10 per month for file storage and basic analytics, we would either be grossly exaggerating our costs, or grossly overpaying our vendors. – Nir Zicherman, Anchor co-founder. Anchor started initially as a short format podcast distributor with your phone, they have morphed into a fully fledged podcast host since. Some impressive features there – especially that the service is 100% free. Even now they advocate “the best microphone is the one you have with you” kind of thing. Recording on the go – they have a really comprehensive mobile app, makes it easy to record episodes on your phone (if that’s your thing). Royalty Free Library of music and sound effects you can drag and drop into the episode using their visual builder. Add music from Apple Music or Spotify (although this will only work for listeners inside Anchor (which let’s face – the user base is tiny compared with giants such as iTunes and Spotify). 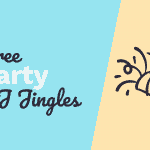 Unlimited free hosting – hard to beat for sure! Although we have not tested them – they do have editing tools inside Anchor – this aims at podcasters who do not want to get all “techy” about audio. 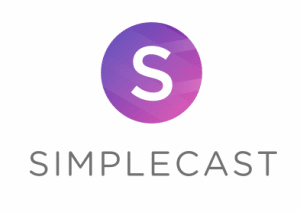 It really aims to revolutionise the space for podcasters with a brand new model of podcasting all together. Monetisation – integrated tools to enable your listeners to support the show with a monthly or one-off donations. WOW – that’s really the next level feature and so forward thinking! Co-Host Podcasting – you can have your co-host tune in via the app and corecord with you inside the app. That’s neat – although my initial worry is about the quality of audio (which don’t be fooled – is important!). Easy and not overwhelming analytics. Easy to migrate from other hosting sites (including paid). $9.99 per month. No free plans available (they may periodically offer coupons that will entitle you to a free trial of some sort so worth to scout the internet for that if Audioboom is your choice). 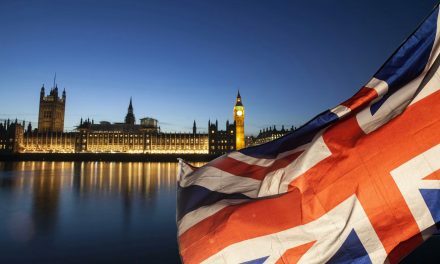 The sales page is hugely underwhelming with very limited information provided – I am not sure the reason behind it – just compared to all other services in this article it seems to be very understated. If you have over 10,000 plays per month Audioboom does not display pricing beyond that. You need to “get in touch” – frankly that’s one of the biggest pet peeves I have when it comes to pricing. WHY not be transparent? Perhaps I just “don’t get it”. Blubrry is one of the podcast hosting giants, the grandfathers who have been around since the start of (podcasting) times. 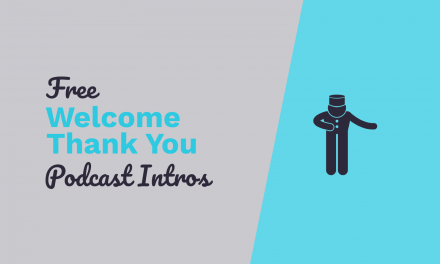 They do deserve special “high five” for incredible support to the podcasting community, their work on the PowerPress plugin for podcasters and likely one million other things they do to help podcasting community in general. 5 different price tiers available. Starting at $12.00 per month. No free plans available. The whole principle behind the plans is based on the storage size you may need for your podcast. We see many podcast hosts slowly moving away from this model (likely due to massive decrease in the storage costs for those giants). The first plan is at $12.00 per month and comes with 100MB storage limit (renews on the 1st of each month). With the $20.00 per month plan you have an option to also store video. 250MB storage limit makes me question – what kind of video would you store that’s under that size in the first place? I record relatively small videos (under 10 minutes in length) and can’t get it smaller than 500MB at least. With YouTube being free – I would strongly suggest not looking at the video features of the host as they simply are not made for video creators. You get good quality stats for your bucks – Blubrry is known for being ahead of the game on that front. Free WordPress site included – this is a great feature if you need that support! Although do note the website does look rather basic and doesn’t scream “I am 2019 ready!”. Let’s hope the visual aspect of this will be improved. Easy publishing tools for WordPress users (you can upload the files from your WordPress site) – this is a bonus as saves you time in the long run. You can add ID3 tags to the files inside your media host account. Easy tools to move from other hosts. One feature here is making me very “aware” here. Buzzsprout automatically optimizes files upon upload to save you time and keep things simple. Our standard optimization is based on industry best practices for spoken word podcasts (64k mono). You can choose to pay $6 per month to take this away and make it 128k instead. For audio savvy users this certainly is bad news. 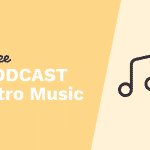 If you have an intro or outro with a voice artist and music theme – basic plan with Buzsprout is not for you (unless you want it to sound watery!). There are 4 plans in total. Free plan includes up to 2h of files each month HOWEVER they are only hosted for 90 days. So certainly plan designed only to get you to try the service, not a regular show that you would like to remain ” the evergreen content”. 3h of uploads each month – decent length for sure for most podcasters. Files are hosted indefinitely – good to know, phew! 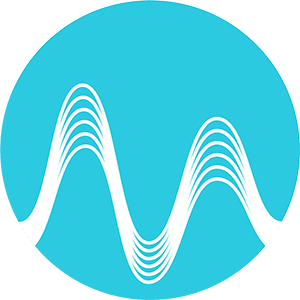 250GB bandwidth per month – this is to do with how many listeners you get, if you get over 10,000 plays per month – this is not the best host for you. It makes it harder to grow as you can be welcomed with a $79 per month bill for higher bandwidth usage. You get your own “website” – more like a good landing page for your show – which certainly is a bonus for podcasters with no website. No contract, you can cancel any time. Nice looking audio player for your website. And of course an easy way to switch providers too. 3 different plans. Starting at $19 per month all the way to $49. They do offer 15 day trial period – so a nice way to test the waters with the host. Podcast website – looks really nice. Podcast stats – include playback duration (you can see how far into the episodes the listeners last – that’s GREAT feature). Their top package does include video podcast hosting – certainly at $49 unlimited storage plan is not a bad deal if you want to do video podcasts (note – note the same as publishing your episodes on YouTube). Those guys keep things simple – one plan only – $19 per month. Unlimited downloads/bandwidth (although in small print it does say that if you have 100,000 downloads per episode you may be required to have a custom plan in place). Automatic ID3 tagging of the mp3 – FAB feature! You don’t need to add things like artwork, title, artist, description etc – this is done for you automatically. You can create more than one page website for your podcast. It is fully responsive and build with user experience in mind. You can also use your own domain with the site. Another one of the grandfathers of podcasting. Around since 2004. Massive supporters of podcasting community. Huge virtual “high five” from us on that front. Definitely one of the “giants” in the space. With over 50,000 shows on their books. 5 different pricing plans. Starts at $5 per month plan and can go up to $75 per month. 50MB storage per month (renews on 1st of each month). To compare the next plan up $15 does include 250MB of monthly storage. Podcast page (one page website). HTML5 Media Player – looks great when sharing your episodes on social media as well. No stats included in the $5 plan. No limit on downloads (you can in theory have 1,000,000 downloads per episode on any plan). You can opt into advertising platform and try to monetise your content that way. 4 different plans. First one being free, going up to $129/month levels. 5 hours or storage space (doesn’t renew though!). Basic podcast stats included in the free plan. Podcast theme web page (with free themes to choose from). Unmetered bandwidth (you can have 1,000,000 downloads per episode – they will be fine with that!). 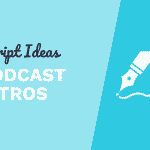 Advanced Themes available for your podcast page. Includes ability to add your own domain. Basic monetisation options (you can add ads to your podcast). You can choose to pay $39 per month and have the concept of your audience supporting you as patrons as well as your own dynamic ad campaigns – may be a nice idea when you have multiple sponsors you manage and want to insert ads dynamically – instead of having to edit the episodes each time. First service I came across that does offer that option. NOTE: If you have 100 downloads per episode do not think there are big $$$ waiting for you. More like ¢¢¢ if that. You do need to have audience size in thousands of downloads per episodes to see any revenue worth talking about. I would certainly not put monetisation (external ads) as one of the first features to look out for in the host. 3 plans. Starts with basic free plan and goes up to $30 per month (although they wording on the website left me confused and I think you can only pay annually for their top plan). The middle of the road plan that has comparable features to the rest of the hosts in this article is the $12.99 plan (once again I don’t know if you need to pay annually). Well done, user experience friendly website which is mobile responsive too. Podiant seems to be more of a boutique company with more bespoke services such as podcast production and editing, transcriptions, show notes, even jingles! No prices for those are advertised – you need to “get in touch” to learn more. 5 different price plans. Starts at $8 per month and can go up to $170 per month. Although the $8 plan is for individuals only, if you have a business then you need to be looking at $15 plans up. The $8 seems relatively basic, I have chosen to showcase features of the $15 plan instead (as that seems to compare with features and price level with most alternatives available). Unlimited number of shows. You could have a podcast network with 5 different shows according to this! Unlimited traffic (ish as the small print says that if you have over 50,000 downloads per month you will need a pro plan). Podcast website (one page) and ability to use your own domain. Audio optimised for Auphonic automatically. Standard audio-quality: MP3 112kbps, AAC 80kbps. Yikes! If you would like to go with 128kbps up you need the $30 plan. 112kbps is not a disaster though. Your intro should still sound OK-ish. Basic stats included (for extra stats you need to pay $8 per month). Transcription option at $0.24 per minute. Only one person can manage the podcast (under one log in). Multiple users start at $30 per month plan. 5 different plans. First one is FREE and goes up to $24.99 per month (the top plan does not have price displayed at the type of review). The basic free plan includes 15GB bandwidth per month, 500MB storage and doesn’t expire as such – but you will likely run out of space relatively quickly. The next plan up is $9.99 per month (at the time of writing paying annually saves you 50% on the price so worth to consider!). 2GB storage on the lower plan and 5GB storage on the top $24.99 per month plan. This can be relatively restricting – especially if you plan to podcast daily. You may run out of space super fast. 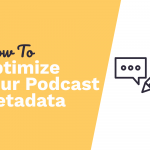 Design your podcast web page with some cool tools. No post processing to your files – big plus! As you can choose what quality to serve to your listener. Pateron integration (your audience can support you with one off fees and monthly pledges). App for iOS and Android (although this is a well optimised version of your podcast website for mobile device that looks like an app, so don’t get over excited on this front just yet). One plan $12 per month. Offers 14 day free trial of the service AND if you are a non-profit or educator you can get custom price from them. No contract – you pay monthly and cancel whenever you like. Basic audio player (does not compare visually to other bigger players at the time of writing). Although there is a new one coming out soon according to their website with much improved look – so worth to keep an eye. Multiple users and managers of the podcast – great if you have a team helping you with your podcast or simply have multi hosts equally responsible for admin tasks. Nice looking podcast website with ability to use your own domain. 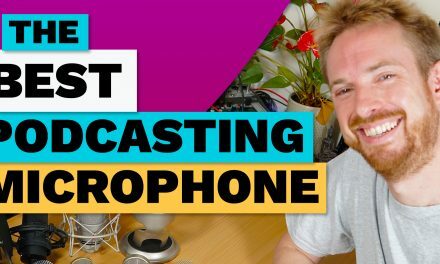 Overall very simple looking podcast host – which can be a good thing. Many of the big players have a lot to offer but can be overwhelming for somebody who is just starting out. This could be a good option for a starting podcaster who wants to focus on the content they are making and add the extra features later on (remember that most of the hosts allow for a simple one click host switch so you are not married for life). Full disclosure – we have been working and recommending Spreaker for years now and seen it grow and change as the podcasting was changing too. We have a great working relationship with those guys and have formed a good friendship with the founder Francesco Baschieri. For this article we are remaining entirely neutral and showcasing their product with the same critical view as we do for all others listed here so that you can choose the host most relevant to your needs. 5 plans – starting with FREE and going up to $120 per month tier. Free plan includes 5 hours of audio storage, basic analytics, player, multiple shows (you can have 10 podcasts under one account). Good starting point! The $6 per month plan has some decent features and storage too. Unlimited bandwidth (amount of plays you get does not impact your price plan). 100 hours of audio storage. The next plan up is $20 and has 500 hours included. iHeart Radio Distribution (unique feature that I have not come across with any other host). Audio compression – yes Spreaker does compress your files to 128kbps which is enough to keep your intros sounding good! The $20 a month plan has option for private episodes (good for in house training materials for example). Pre-Roll ads on dynamic basis can be inserted from $20 per month plan up. Basic analytics on this plan with more advanced view from $20 per month up. Spreaker has their own ecosystem with listeners as well. Established a while back ago the user base is decent enough to bring native listeners from Spreaker over to you. Nice looking audio player (although if you don’t want Spreaker logo you need $20 plan up for that). Now over to you. 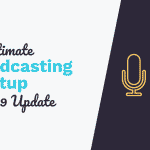 Who is your podcast hosting provider? What are the features you love and that matter to you the most? Have we missed a feature or provider and you think we should update it. No problem – share in the comments! NextPodcast Monetization – How Much Money Can You Make Podcasting? I try to get my podcast found where ever there is a community surrounding the host. For example I use Spreaker like you and I’ve been with them from the start. They even interviewed me once upon a time. Thanks for the list of hosts! Chat soon. Awesome list of essential places for podcasters to be Ileane. 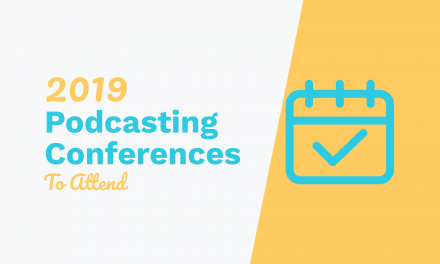 I didn’t think of Mixcloud for podcasting – that’s an interesting one! Do you know if that work if I was running a podcast production service and wanted to host several client podcasts on one account? I do have a different opinion about archive.org as a free solution – although I’ve heard a lot of people complain about the speed as well as saying that it’s a risky idea to host with them if they go out of business, my experience has been different – I haven’t been able to notice the difference in download speed between archive.org and other providers. For an example of a popular podcast hosted on archive.org, there’s the Daily Tech News Show by Tom Merritt https://itunes.apple.com/gb/podcast/daily-tech-news-show/id790864884?mt=2)/. As for whether or not they will be around for ever, archive.org been going since 1996 and you could say the same argument applies for any hosting provider – many paid-for solutions have folded and will continue to go out of business. I would suggest hosting your files on at least 2 servers (or backed up locally) at the same time to avoid this situation (using auphonic is a good way to make that process easy). So if, for say, you’re using spreaker, you could also back up files on archive.org for free, just in case. Thank you for the comment Jonathan and it’s very interesting to hear your experience with Archive.org especially as a backup option. I agree that you should certainly host/backup in more than one place. I’m throwing all my raw and produced podcasts into a Dropbox for Business account which is great as I have few size restrictions. Let me know how you get on Jonathan! Thanks for clarifying that Mike, I’ve also followed that up with Spreaker and they agree that the clients podcasts would have to accept to be under your own brand name. That’s great to hear your confirmation. I will check out that thread too – looks like an interesting one – thanks Jonathan! Thanks for asking Shannon. I’m not familiar with this service. I’m interested, and a bit surprised, that there’s nothing about BlogTalkRadio included here. Not in the write-up, at least. Not because BlogTalkRadio is necessarily “the best” host site for podcasts, I’ve heard it’s not, but rather because it’s one of the most common and frequently used. Thanks for mentioning BlogTalkRadio, Jon. We did our best to cover as many hosts as possible – that’s a good shout! Hi Mike, thanks so much for your thoughts here. I am in a quandary… I jumped the gun and bought my domain name through Squarespace (with the intention of it being an umbrella site for a collection of podcasts.) Now, I’m thinking I should have bought it through WordPress… I’d like to eventually sell products, webinars, have comment sections like this one. What should I do? If I cancel my Squarespace purchase it will let my domain go. And it says I have to wait two months before I can transfer it! I need something that is user-friendly as I am learning as I go (obviously!) Thanks so much, in advance. Thanks for the question Jennifer. I highly recommend WordPress. You should be able to transfer your domain even if you leave Squarespace – most providers have this option – you may need to open a support ticket to find out the process with them. Good luck with the launch! Your missing almost all of the great features blubrry provides to podcasters. This is not a comprehensive or fair review. Hey Mike, love the content you produce, both on here and youtube. Love to pay you back, just about to sign upto Libsyn, do you have an affiliate I can use, not much, but would like to pay you back for all the work you do. P.S looking forward to the release of the podcast producer course coming at the beginning of February. Thank you so much Dean! Very kind of you and I am glad you are finding our content helpful 🙂 Let me know if you have any questions when the course comes up – we don’t have Libsyn affiliate unfortunately but thank you for checking on that!